You want unique dorm room decor that makes your dorm room feel like home and DormCo has a wide variety of these one of a kind dorm essentials! Wall Canvases provide lightweight college wall decorations that are unique dorm products because you can even write on these dorm necessities. These cool college dorm room decorations have a painted canvas layer over a frame, making them artistic and cool dorm decor supplies. Along with your college posters, dorm tin signs, and college panoramas, you will have some dorm wall art that will awe your friends! Canvas Kudos - Signable Wall Canvas - Celebrate Cake Design Canvas Kudos - Signable Wall Canvas - Graduation Seal Design Canvas Kudos - Signable Wall Canvas - Graduation Plaque Design Complete your dorm room decor with your favorite musician as part of your dorm wall art with our unique Bob Marley Charm Wall Canvas. The best way to make your dorm room feel comfortable and like a home away from home is by adding your favorite musician with our Bob Marley Guitar Wall Canvas. Make your dorm room feel like a home away from home by adding our Bob Marley Expressive Wall Canvas to your dorm room decor. 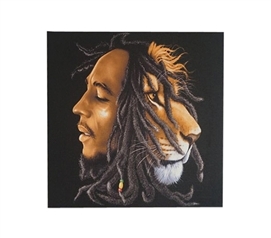 Express your interests and personality in your dorm room decorations with our Bob Marley Roaring Wall Canvas. Complete your dorm room decor with dorm wall art of your favorite musician with our Bob Marley One Love Wall Canvas. If you're looking for some college wall decor beyond everyday dorm posters, try adding some College Wall Canvases to your dorm room decorations. These unique dorm items offer a painted canvas layer on a lightweight frame. They're easily hung on your dorm walls, and are great supplies for dorms for making your college dorm room decor look its best. Dorm wall canvases also provide cool decorations for dorms even if you don't plan on hanging them. You can place one on another surface or on top of any piece of dorm furniture and they'll still provide great looking college decorations. And if you do hang them, your college wall decorations will be complete!